INDIANAPOLIS, Ind. (WXIN) -- The Department of Natural Resources says it's dealing with an increase in nuisance complaints about geese. 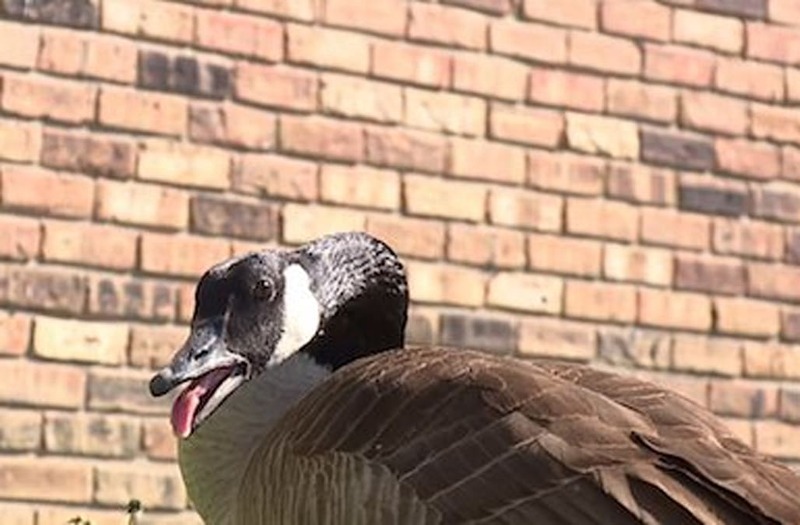 One of those calls is coming from Bonnie Bankhead, who has two geese nesting outside of her east side apartment building. "On our way out to work in the morning, the big one came flying at us and running up on us. He chased us to our cars while hissing," said Bankhead. The hissing sound is the noise Bankhead says she has woken up to for the past two weeks, from two geese nesting in front of her home. "When we come back from work in the evening or the kids are getting out of school, everyone is basically running in the door," said Bankhead. The hissing is not the only problem. Bonnie says the geese are aggressive, running after her every day. On Easter, she went live on Facebook to show her friends just how bad it gets. "Look at him, look at him! He is running," said Bankhead. Bonnie says she has called DNR, her apartment complex and the mayor's action line for help. DNR says the geese are not going anywhere, because the birds are already nesting. In Indiana, geese begin nesting from mid-March through late April. During that time, the male protects the female from predators or people, just trying to walk by. "He came from down on the other end of the parking lot and ran up on the door hissing. We closed the door and went back in," said Bankhead. DNR says you cannot destroy the eggs or move them without a permit. Wildlife experts say you can use some methods like a dog, a water hose or a leaf blower to try and keep them from nesting, as long as you do not harm the animal or its eggs.